Retirement planning strategies are one of the specific objectives of a well-considered wealth management plan. Do you want to utilise your superannuation to transition to retirement? Are Centrelink benefits available to you? Is it important that you leave funds for future generations? 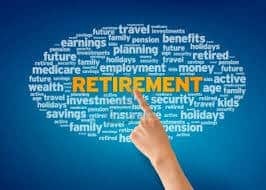 Retirement income streams may flow from superannuation benefits (most often in the form of pension income) as well as from assets accumulated outside of superannuation; and many self-funded retirees will have a mixture of wealth accumulated in both areas. Allocated Pensions and Transition to Retirement Allocated Pensions are popular – and effective – tools as you approach retirement; as well as during that phase of your life. There is no substitute for a well-structured long-term wealth accumulation and management program to provide a comfortable and adequate income in retirement. Continuum Financial Planners can work with you to give you peace of mind about the adequacy of your disposable income in retirement – and in a tax effective way. Retirement pensions can be arranged on public offer platforms and through specialist products purchased for the purpose. We also have extensive expertise with self-managed superannuation fund investment and administration advising which can also be utilised in conjunction with self-funded income streams/ pensions. It is important that the most appropriate investment strategy: matching asset allocation; investment products (assets); investor risk profile; and time available for accumulation – be employed for your particular circumstances. Insurance products can also be used to provide wealth protection effectively (at least through the accumulation phase). Your entitlements to Centrelink support by way of Age Pension (Full or Part), Commonwealth Seniors Health Card or other services in the period of your retirement may well form part of the strategy for you; and this too can be optimised with careful planning. To obtain financial advice from one of our experienced financial planners in relation to these matters; or to find out more, contact us on (07) 3421 3456 or email our helpful staff via our Contact Us page.